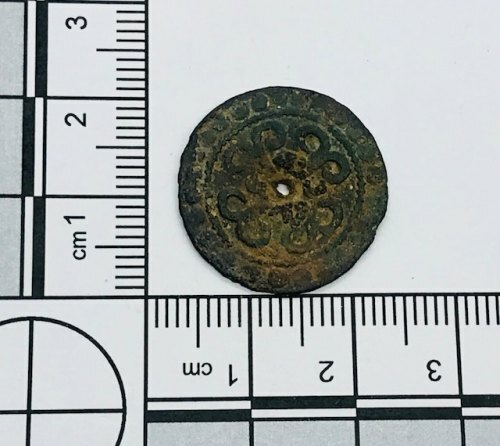 A copper alloy medieval English Jetton of the Edwardian era. The jetton is worn on the obverse, but the reverse matches fig.26, plate 1 in Barnard, F.P. 'the casting counter and the counting board'. 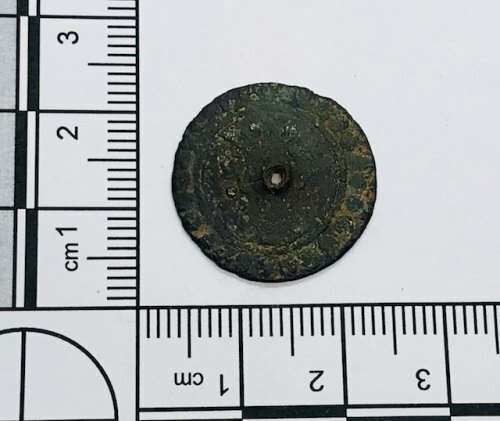 Medieval french copper alloy jetton. Matches Fig. 43, plate VI in Barnard, F.P. The casting counter and the counting board. Late medieval? french copper alloy jetton. The object matches plate V eg.32 in Barnard, F.P., the casting counter and the counting board.